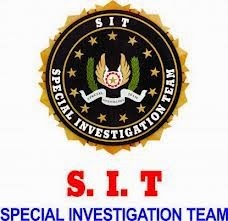 The Union Cabinet today approved constitution of Special Investigating Team (SIT) to implement the decision of the Hon’ble Supreme Court on large amounts of money stashed abroad by evading taxes or generated through unlawful activities. The SIT will be headed by Hon’ble Mr. Justice M.B. Shah, former Judge of the Supreme Court as Chairman and Hon’ble Mr. Justice Arijit Pasayat, former Judge as Vice Chairman. The SIT has been charged with the responsibility and duties of investigation, initiation of proceedings and prosecution in cases of Hasan Ali and other matters involving unaccounted money. SIT shall have jurisdiction in the cases where investigations have already commenced or are pending or awaiting to be initiated or have been completed. SIT will prepare a comprehensive action plan including creation of necessary institutional structure that could enable the country to fight the battle against unaccounted money. The SIT should report to the court the status of work from time to time.